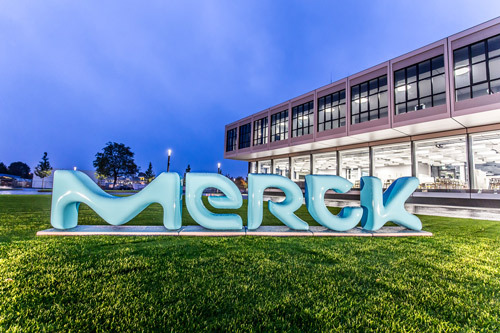 Germany's Merck KGaA has raised its sales forecast for 2016 after a strong second quarter performance driven by its healthcare and life science divisions. In particular, the group's portfolio of fertility treatments put in a stellar performance, headed by Gonal-f which grew 23% to €209m. The company put the performance in the quarter down to the withdrawal of a rival product - Ferring's Bravelle - from the US market last year because of quality issues, as well as the launch of a new pen formulation in Europe. Merck makes the most of its portfolio of mature drugs, and top-seller Rebif (interferon beta-1a) for relapsing-remitting multiple sclerosis held up fairly well despite fierce competition from newer, oral therapies such as Biogen Idec's Tecfidera (dimethyl glutamate) and Novartis' Gilenya (fingolimod). Sales of the drug came in at €441m in the quarter, down from €461m a year earlier but flat if exchange rate fluctuations are taken into account, according to Merck. The company has high hopes for its own oral MS therapy - a new formulation of cladribine, which was submitted for approval in the EU in June. "We believe that cladribine tablets, if approved, would have a unique oral dosing regimen followed by prolonged treatment-free periods and could serve as an important therapeutic option for patients," said the company in its interim report. Meanwhile, colorectal cancer therapy Erbitux (cetuximab) also stabilised after earlier declines, bringing in €232m compared to €233m in the same period of 2015. Overall, Merck's healthcare sales grew 7% to €1.8bn at constant exchange rates. Merck is also banking on a $2.85bn immuno-oncology deal with Pfizer - signed in November 2014 - to help drive growth in the coming years. The deal gives Merck a revenue stream from co-promotion of Pfizer's lung cancer therapy Xalkori and the assistance of the US pharma major as it brings its immuno-oncology candidate avelumab through development. The company has lifted its full-year sales estimates by €100m to a new range of €14.9bn-€15.1bn, noted chief financial officer Marcus Kuhnert.